Weird that I’m writing about our trip to Pennsylvania last week since we go to Pennsylvania just about every other month when we visit the boyfriend’s family, but this it was different! Different because we got sponsored to visit another area of Pennsylvania– Bucks County. I had never heard of Bucks County, but was thrilled I was going to be able to experience a new Pennsylvania from what I already know. The area we stopped into first was New Hope, PA and wow, it was straight out of a Gilmore Girls episode. The town was quaint, had gorgeous historic views and an artsy-antique feel to the somewhat whimsical town. The town was super quiet opposed to the crazy and loud New York City life I’m use to. We made our way to New Hope and Ivyland Railroad ride and it was nice. You have the option to sit in the back open section of the train or in the enclosed air-conditioned area in the front at an additional, VIP price. Either way you’ll enjoy an excursion train ride through the beautiful hills and valleys of historic Bucks County while hearing many interesting facts and happenings along the rails. Don’t forget you can watch some of the fun on our vlog from that day here. The next stop was the Buck’s County Children’s Museum because we love our museums and a children’s museum is always so much more fun! 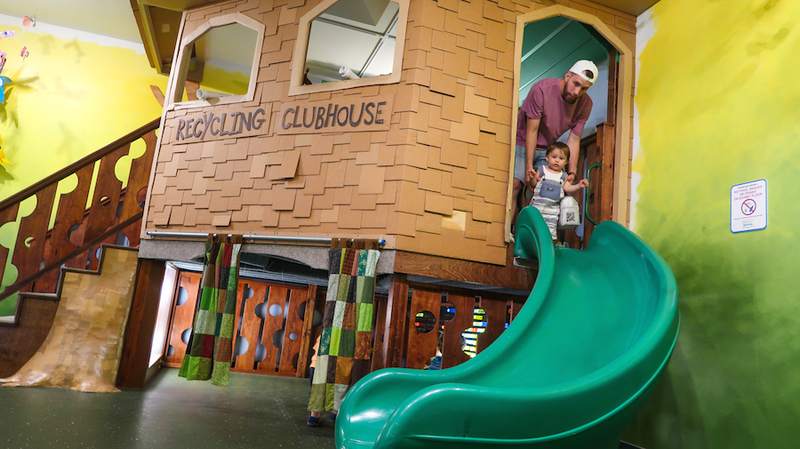 Kids love to touch anything and use their imagination, so this museum was loads of fun– even for mommy and daddy. Let’s start with my favorite section- the Weiss Supermarket, Post Office, Ice-Cream Parlor and Hospital section where kids can put on any hat and be whoever they want to be in those sections. Ziana pretended she was an ice-cream maker then went to being a customer shopping for her food items, weighing the food and then chopping up food to feed us. The register was actually real in the sense that it had a working calculator. The had more cool areas like the archeology section where kids can dig up things hidden underneath the grounds of Buck County– not really , but they think so! There was a section to design and test balls to follow a magnetic maze. A pretty neat part was the recycled room where just about everything in that room was used from recycled material. Let’s not forget the cool water section that of course, the kids loved to splash the boats in. All that fun is also on the vlog! If you know us then by now you know that we love to look up popular food places on Yelp depending in the area that we’re in. If it isn’t 4 stars and up and people aren’t raving about it then we won’t be stepping foot in their place of business. We wanted to grab a quick snack for the road as we headed to the hotel– we ended up at Cluster’s Popcorn — gourmet popcorn offering dozens of mouth watering flavors like “buffalo wings,” “chocolate chip,” “pickle flavor” to name a few. Drop by and visit if around! 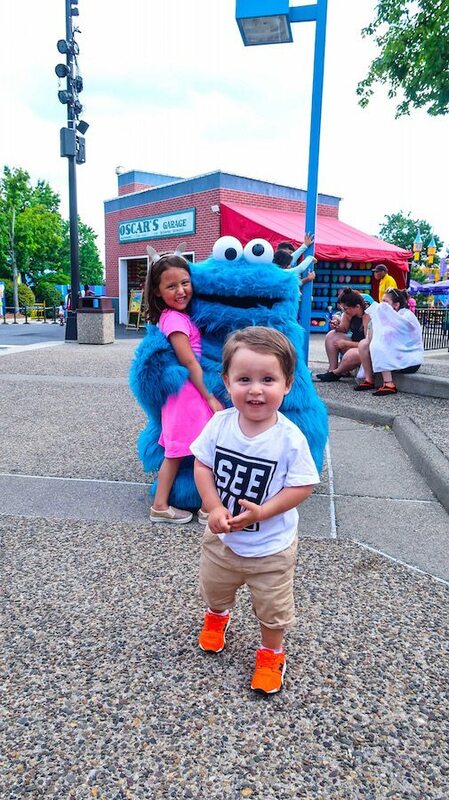 Last stop on our trip was to Sesame Place which is our yearly (minus last year) summer trip. Being fans of Sesame Street it’s only right to continue the tradition with Gunner who by the way LOVED it. A water park with not only water, but dry rides and tons of Sesame Street characters walking around is the perfect way to spend the hot summer days. Watch year’s past here and here.